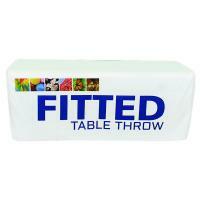 Fabric Trade show Table Covers and Throws at low discounted prices! 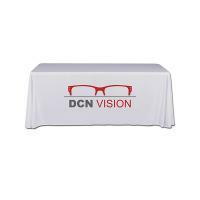 New World Case, Inc. offers Printed and Non-printed Trade Show and Event Table throws and Table Covers make a visual impact and compliment your dispay or presentation in an eye catching and professional way! 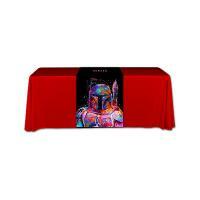 One color, Two color, and Full color print options are available for Table throws and covers in all sizes! 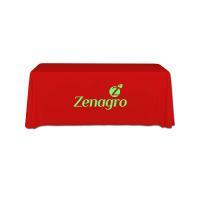 Machine washable, wrinkle resistant, and flame retardant! 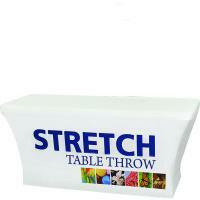 24 Standard Colors to choose from! 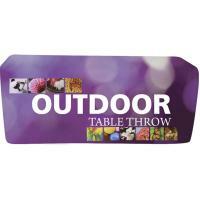 Your choice of 3 sided or 4 sided Throws, Table Runners, custom sizes also available! 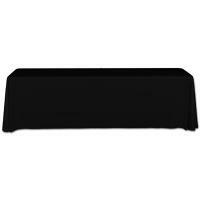 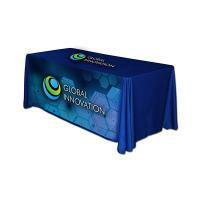 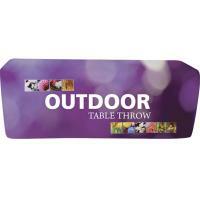 This 4-sided trade show table cover comes in many colors and is made of flame retardant, wrinkle resistant fabric. 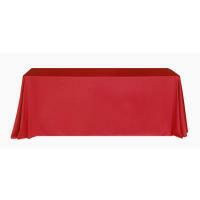 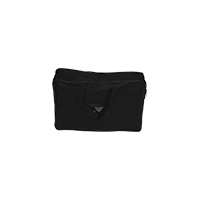 Drapes to the floor on all four sides, fits 6' & 8' Table sizes. 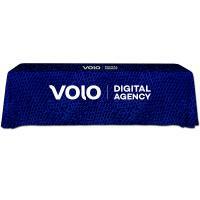 This 4-sided Printed Table Cover features your graphics in a variety of color options, perfect for basic logos and text! 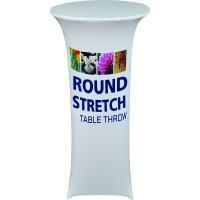 This 4 sided custom table skirt with Printed graphics reaches the floor on all four sides. 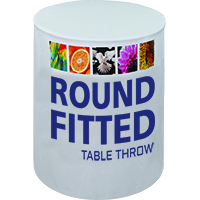 Full color graphics are perfect for complicated logos, text, and photographic imagery. 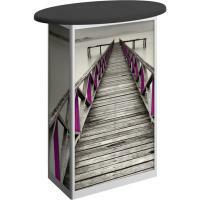 The Orbus Linear Small Oval Display Table will enhance your Trade Show Exhibit and offer podium and storage capabilities!